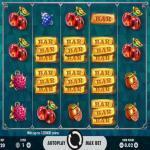 Fruit Spin is a Net Entertainment slot machine that has 40 lines with five reels. The online slot is available for play on multiple devices, starting from only 0.20 credits for every spin. As soon as you open the slot machine, you are going to notice the luxurious feel that it has. You will see sapphire, emerald and ruby fruits spinning the reels. Apart from the 40 lines and the payouts that they have to offer you, there is also the Lucky Wheels feature that can trigger massive rewards. So if you are intrigued by all of that, you can check out Fruit Spin here for free with demo credits to check out all that it has to offer you. 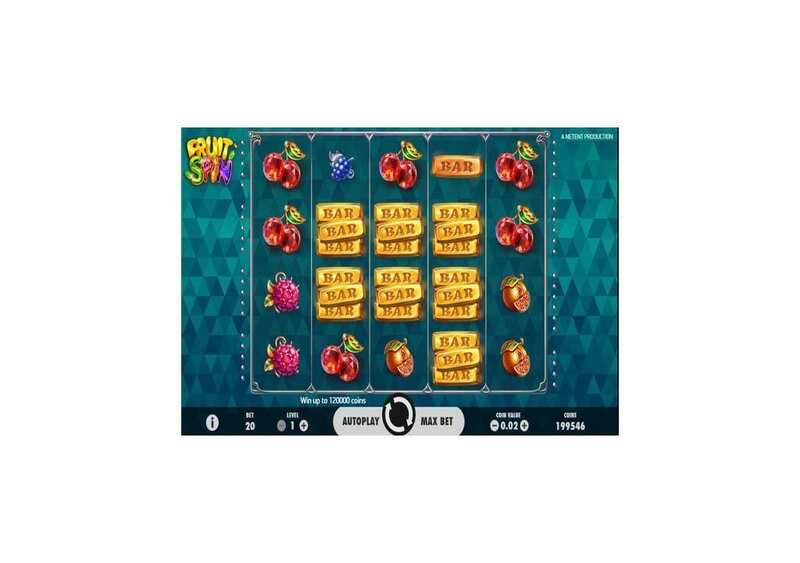 Net Entertainment is always releasing brand new slot machine and this slot we have here, Fruit Spin, is the latest one. Fruit Spin has five reels with 40 lines. You will be able to claim plenty of awards thanks to the 40 Lines of the slot in addition to the Lucky wheels feature that can trigger amazing rewards. 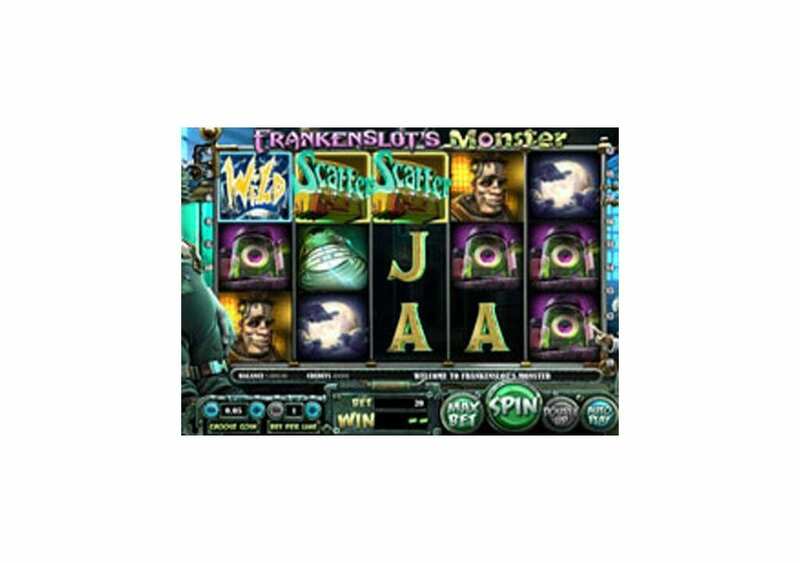 The online slot has impressive visuals and sound effects. So you will be able to enjoy a classic experience with a modern format, visuals and gameplay options, which is something you can always expect from a Net Entertainment slot machine. 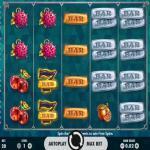 Fruit Spin is a Net Entertainment slot machine that has four rows of symbols, 40 lines and five reels. You can enjoy the slot machine on a multitude of devices and operating systems. These operating systems include PCs, Laptops, Android and iOS. You can spin the reels of the slot with stakes that vary between 0.20 and 200 credits for every spin. 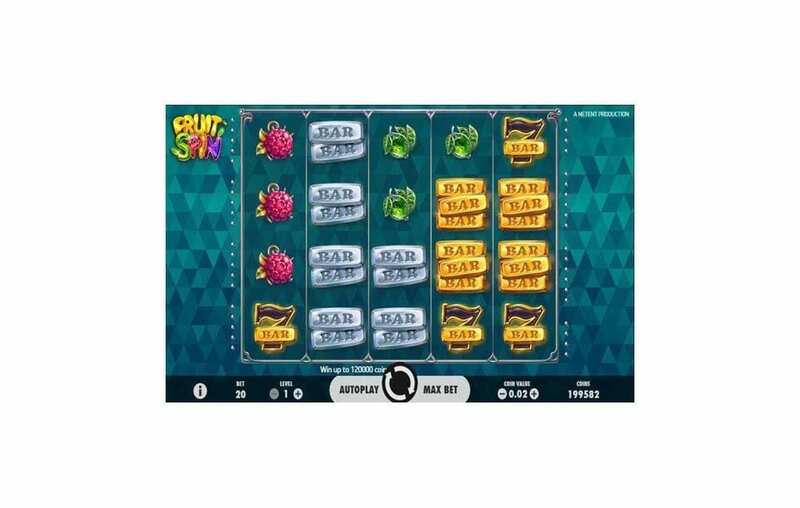 Fruit spin has a luxurious feel to it that you will get a sense of from the moment you open the slot with its luxurious reels, symbols, and sound effects. 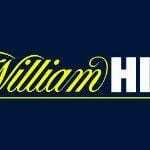 Apart from the forty stake lines that you will take advantage of, you will be able to trigger free spins round, and the Lucky Wheels feature in addition to stacked symbols. 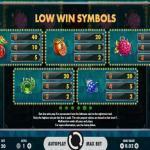 Visually, the slot machine is simple, but it is colorful and rich. You will enjoy a mellow and a soothing soundtrack that plays in the background as you spin the reels. Fruit Spin does not have a great story behind its theme, as it has a simple theme. 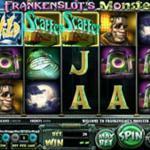 It revolves around one of the classic and oldest themes in the history of slots, Fruits. Therefore, as soon as you open the reels, you are going to see a lot of fruits spinning on the reels of the slot as symbols. There is also a lavish style to the slot machine, which is a result of the luxurious visual style of the game, as well as the soothing soundtrack that will play in the background. Fruit Spin by Net Entertainment has a simple visual style that is full of colorful graphics and rich symbols. 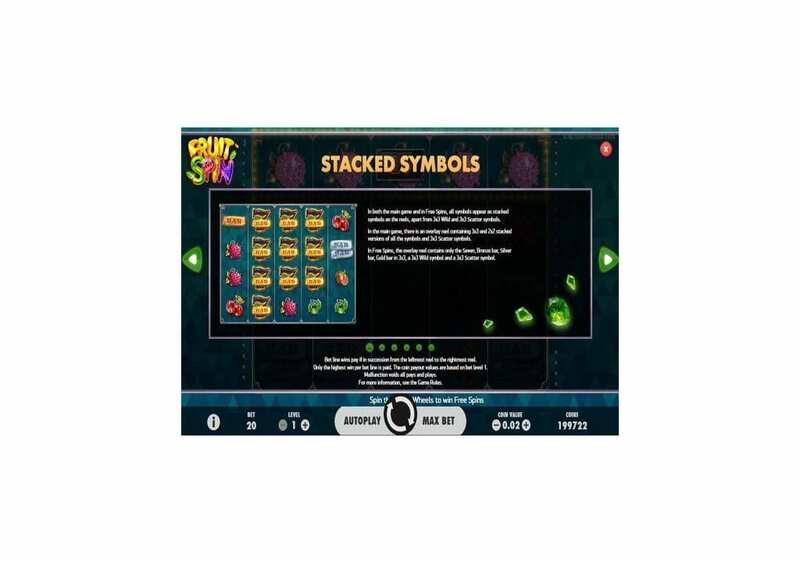 Since the slot machine is all about fruits, you will see a lot of fruit symbols. They include ruby, emerald and sapphire fruits like oranges, cherries, raspberries, and blueberries to name a few. The slot machine has five reels with a total of 40 stake lines. It does not offer the usual 5×3 gaming grid, as it has four rows of symbols instead of three. Underneath the reels of the slot, you will find the control panel of Fruit spin. Through the control panel, you will be able to control the gameplay. You will find the spin button in the middle with the Autoplay on one side and the Max Bet button on the other. There is also the “I” button that can open the payouts table. 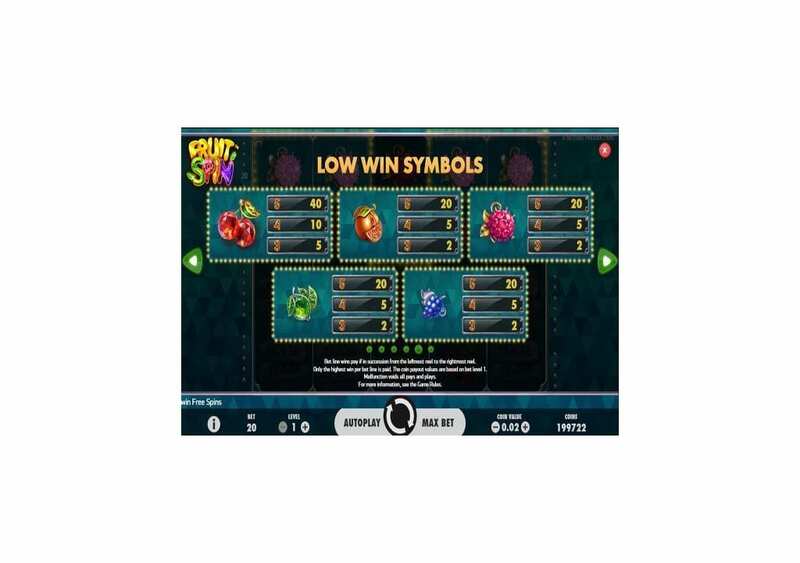 Fruit Spin has two betting options; they are the number of coins (from 1 to 10) and the coin value (from 0.01 and 1). These betting options result in a stake range that is between 0.20 and 200 credits since all 20 lines are active at all times. Fruit Spin by Net Entertainment has a high RTP that guarantees you a highly rewarding experience. The RPT of the slot machine is equal 96.84%. You will be able to claim a prize whenever you manage to get three matching icons, on the same stake line. All stake lines are active at all times. The payout will depend on the stake you placed, as well as the symbol that you were able to match. The highest paying symbol is the 7s symbol. It can give you an award of 300 when you get 5x of that symbol on all reels on the same line. 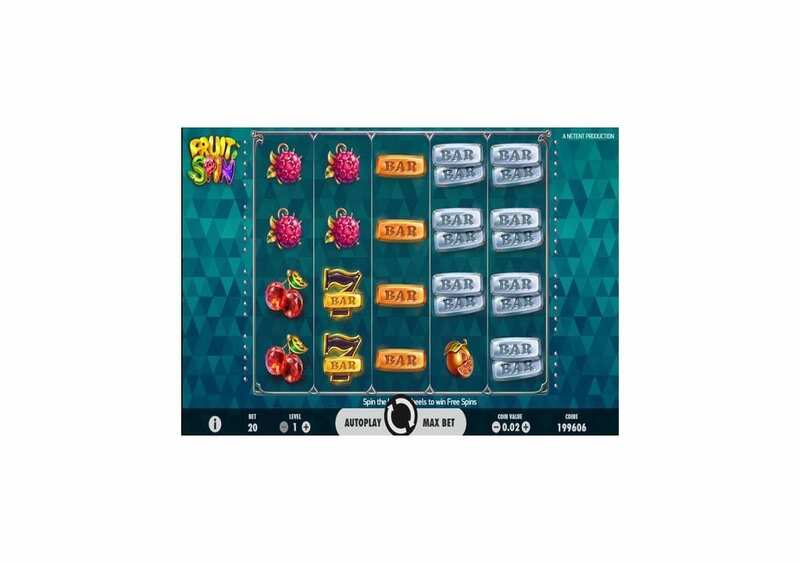 Since Fruit Spin is a Net Entertainment powered slot machine, you can expect to find a lot of winning chances and features to take advantage of during the gameplay. 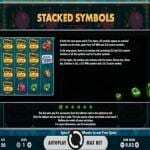 For instance, there are 40 high paying lines, in addition to stacked symbols, Free Spins, and the Lucky Wheels feature. The Green Emerald is the wild symbol, and it can appear stacked in the form of 3×3 symbols during the free spins. It will help you create a winning combo by replacing all other symbols, excluding the scatter symbol. The Ruby is the scatter, and whenever you get a 3×3 scatter cluster appear on the reels during the base game, it will trigger the Lucky Wheel Feature. You will get to spin one wheel for each 3×3 cluster that appears to you on the reels. 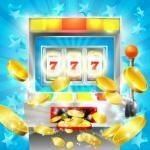 You can win coin prize or trigger the free spins round through the Lucky Wheels. If you get three Free Spin icons on the lucky wheels, you will claim five free spins on the slot machine. During the free spins, the lucky wheels only have an extra spin symbol or the 20 coin prize. If you get any scatter icons on the reels during free spins, you can claim additional spins.